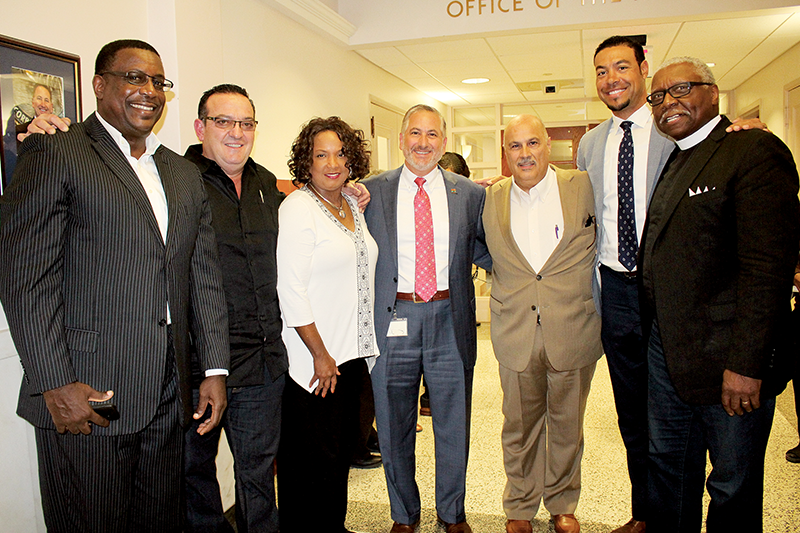 L-R, Pastor G. Gregg Murray, Ramon Hernandez, Deborah Figgs-Sanders, Mayor Rick Kriseman, Mario Farias, Vincent Jackson and Pastor Basha Jordan, Jr. at the city council meeting Monday, Nov. 20. 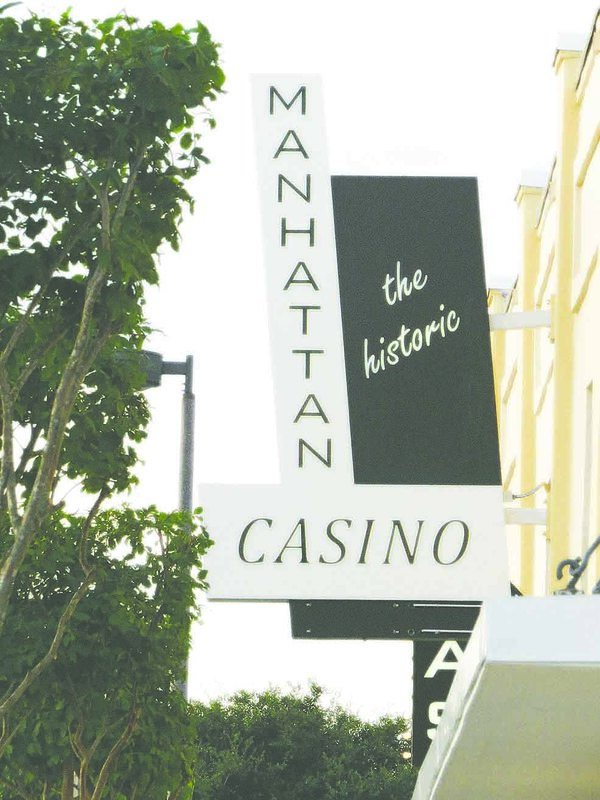 ST. PETERSBURG – The city council voted unanimously to award the Callaloo Group a five-year lease to conduct business in the historic Manhattan Casino. The decision came down late Monday evening at the council meeting. 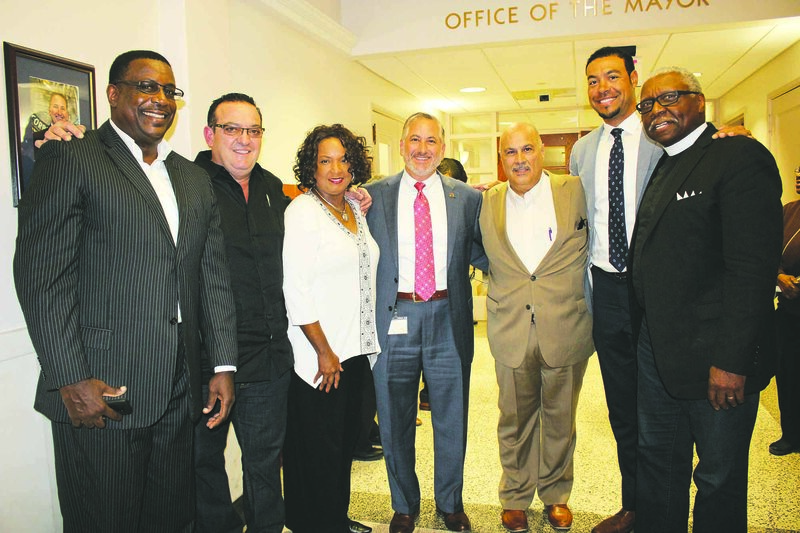 “We were positive going in that we had a good plan and that we had all the pieces put together with the addition of Deborah Figgs-Sanders (event coordinator) and Shawn Brown (entertainment director) to our team,” said Callaloo Group’s Director of Development Mario Farias. During the meeting, people for and against the lease used their three minutes to try and persuade the council, but in the end, the city went with the proposal that had the cash in hand. 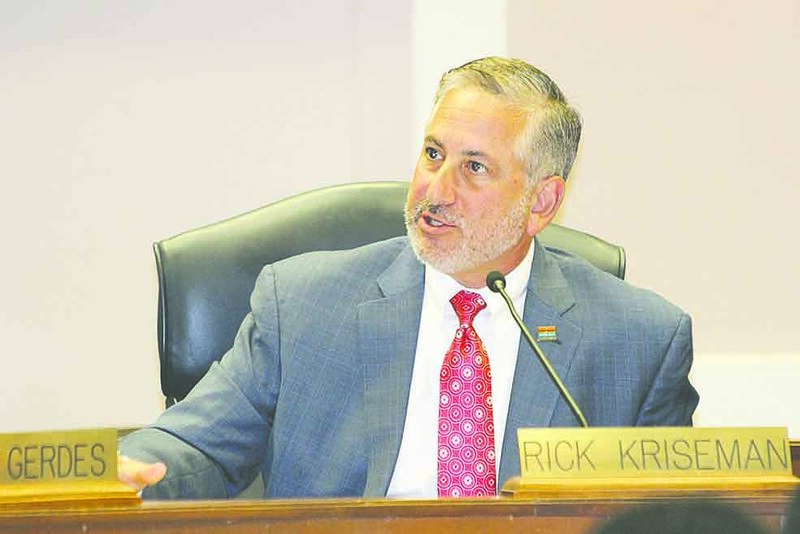 “We are not giving away the Manhattan Casino, the city still owns it,” explained Council member Steve Kornell. For the next four and a half years, the Callaloo Group will pay the base amount of $40,000 a year plus taxes and a percentage amount based on all revenue derived from the operations. The city will begin collecting rent on the seventh month after the lease is signed. The Callaloo Group is 100 percent responsible for all the improvements, restaurant equipment, fixtures and furniture. The city will, however, provide a $1,500 reimbursement to the group for any person hired who lives in the CRA. That employee must be full time and employed for 12 months. The second floor will be an event space for weddings, corporate meetings, dances and private parties as well as a performing music venue that requires two performances a month in the first two years, three a month in the third year and in the fourth and fifth years the lease stipulates four performances a month. Neighborhood associations within the CRA will be able to use the facility free of charge other than cost associated with them using the facility. 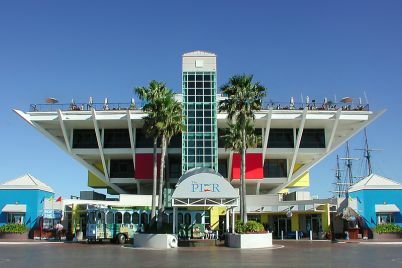 The commissary on the first floor is extremely important to the operations because the facility will not be dependent on just the restaurant and event space to keep afloat. The commissary will produce food products for all the Pipo’s restaurants and vending opportunities in the area. 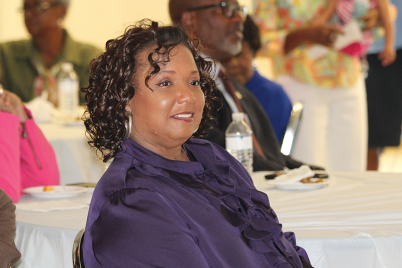 “We are going to create jobs and we are going to create entrepreneurship right there from the Manhattan,” said Callaloo Group Vice President Vincent Jackson. Jackson said the group holds high regard for the value and the culture that the Manhattan Casino stands for. “We will be guided by ongoing feedback from the council and the people in the community as we continue to evaluate our performance and our mission…,” he stated. Although the least if for five years and must be approved before renewal, many in the community feel that the city council and mayor have disrespected the black community by giving the Manhattan away. Emotions are so charged because the Manhattan is one of the last vestiges still standing of thriving black life in the days of segregation. It opened up as an entertainment facility and social club in 1931 as the Jordan Dance Hall. Named after African-American entrepreneur and former slave who contracted it, Elder Jordan, it was then bought by a white man in the 1940s. Knowing the history of the building, it has not been black owned for almost 80 years, and for the majority of those years it sat empty until the city bought it in the early 2000s. When New Yorker Abe Fortunoff bought the dance hall, he wanted to bring a piece of the Big Apple to sleepy St. Pete. Under his ownership, during staunch segregation, it became the only venue legendary performers such as Louis Armstrong, Fats Waller, Duke Ellington and Nat King Cole were allowed to perform in when they came to town. Figgs-Sanders will coordinate events and is chomping at the bit to get started. She’s compiling a list of reputable photographers, videographers and decorators to have on hand when needed for events. She’s ready to decorate and get the ball rolling. “I want it to be beautiful. I want it when you walk in the room, you don’t have to do a whole lot of decorating. You just come on in. I want it inviting,” she explained. Once the lease is signed, the work begins. 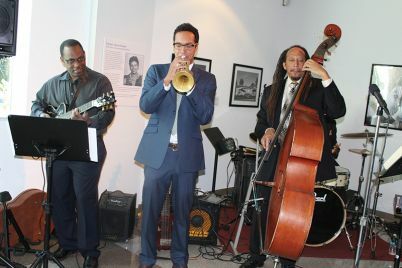 The Callaloo Group wants the upstairs functional in time for the Christmas holidays. “As soon as we sign the lease and have the keys, we will be working throughout the Thanksgiving weekend,” said Farias, who noted that it will take approximately $300,000 to get both up and downstairs operational. So what is Floribbean food? Soul food with a taste of the islands is the best way to describe it. The Florribbean style is influenced by visitors and immigrants from all over the world, but especially from the Caribbean with notable influence from Haiti, the Bahama, Barbados, Jamaica, Trinidad and Tobago, Cuba and Puerto Rico. The average price point for lunch will be anywhere from $10 to $12 a meal and the dinner menu will be more elaborate, with a price point averaging around $16 to $18. The menu is soul food based but is different enough to where you didn’t cook that same dish the night before at your house. “A little twist will be added to it to get them to come out of the house,” said Callaloo Group’s President Ramon Hernandez. The restaurant and commissary are projected to open in the beginning of Jan. or Feb. 2018.